Major Fraud: Involves fraudulent activities in person to person transactions, including credit card fraud, bank account fraud, ATM fraud, Internet schemes and shareholder fraud. The amount of money can range from hundreds to thousands of dollars. Theft: Can range from shoplifting to electronic deception or online theft. Breach of Trust: Involves a breach of trust in a relationship. Examples include an employee stealing from an employer or a person on government assistance defrauding the government. In the day and age of advanced computer technologies and Internet banking, defending a white collar crime requires an electronically literate defence attorney who is adept at maneuvering around computers and complex electronic databases. David G. Bayliss is a Toronto lawyer with extensive experience using computers and navigating hard drives in order to fully understand the nature of his clients’ charges and the information available to the prosecution. He brings more than 28 years of experience to his defence work, and he is dedicated to achieving the most favourable results possible in every case. Offences of dishonesty can carry significant fines and other penalties including jail. Theft or fraud involving $5,000 or more is an indictable offence, which carries the most severe consequences. Charges involving amounts under $5,000 are summary conviction offences but can still result in substantial penalties in the event of conviction. 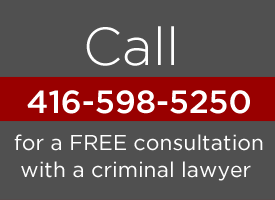 Contact the Toronto criminal law firm of David G. Bayliss online or call 416.598.5250 to arrange a free initial consultation with an experienced Toronto defence lawyer handling white collar crimes. *The results of each case will turn on its own facts. Past success is not necessarily indicative of future success.